It points to the greatest love story ever told about the Greatest Love of the world...Jesus Christ! 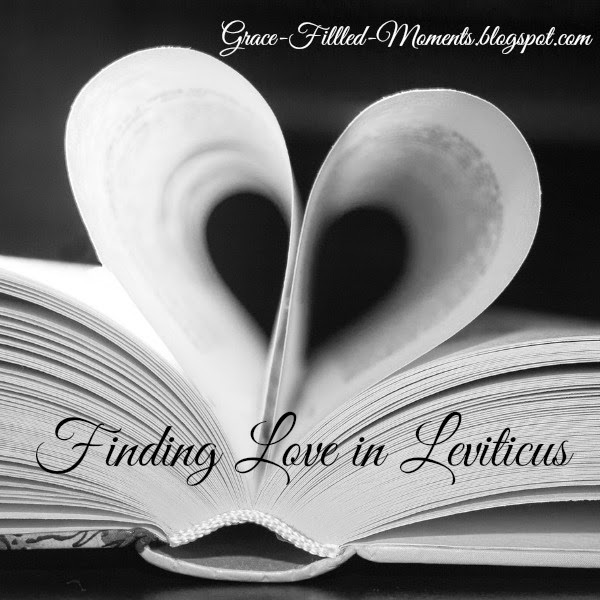 Finding Love in Leviticus - Jesus - has drawn me into the chapters about ceremonial and civil laws and digging into commentaries to find out how each relates and points to the sinless life of Jesus. He was sacrificed so that we could have forgiveness for our sins and cleansing through His shed blood. We can receive this forgiveness and cleansing for our sins when we believe in and stand on His finished work on the cross. If you have not accepted Jesus into your heart and life, I would love to talk more with you about how you can come to know Him as your personal Savior! Simply leave me your email in the comments below and I will contact you. I hope you'll join me for Week 2 in Leviticus! Be sure to check back here at Grace-Filled-Moments throughout the week for more Blogging Through the Bible posts about my time in Leviticus. 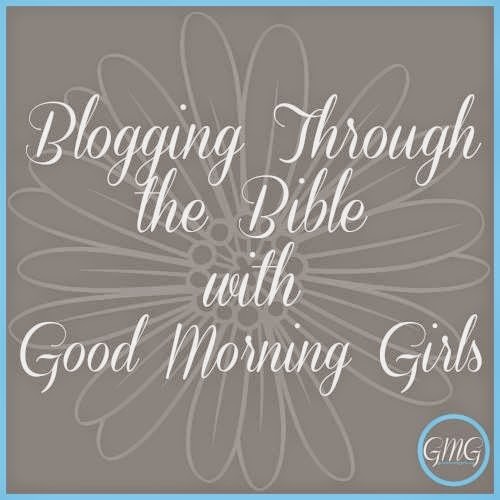 I hope you'll read along with me as we continue our walk through the book of Leviticus with the Good Morning Girls! Thank you for pointing us toward this important book, Laurie! The more I dig into the Old Testament, the more precious gems I find, just waiting to be unearthed. How beautiful is the Word of God! I'm glad you linked up with us at Grace & Truth!